Butch Waller was one of the initial handful of Northern California musicians to play bluegrass music. Inspired by the music of Bill Monroe and other first generation bands, Butch and friends formed the Pine Valley Boys, one of the first bluegrass bands on the Northern California scene, in the early 1960’s. By 1968, High Country, California’s most enduring bluegrass band, was born, and continues to play straight ahead traditional bluegrass with Butch at the helm. Butch, long a keeper of the Monroe style mandolin flame, appears on numerous High Country recordings; his solo effort on Rebel Records entitled, “Golden Gate Promenade”; and the recently released, “The Old Photograph” with his brother Bob. 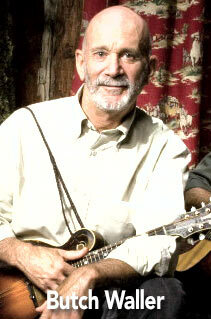 For more information about Butch, visit: http//HighCountryBluegrass.com.